I listened to this audiobook way back in February of 2011. How this review got buried so far down that it hasn’t seen the light of day before now the world may never know. I have been recommending this to patrons ever since to rave reviews, and I hope you take the time to enjoy it too. 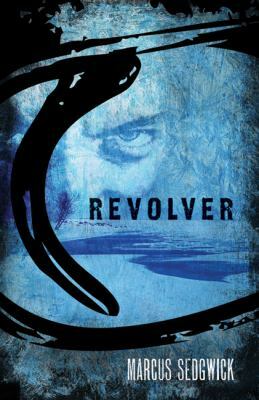 Publisher/Date: Roaring Brook Press (Brilliance Audio), c2009. Even the dead tell stories. Fourteen-year-old Sig Anderson is waiting for his sister and step-mother to return from traveling across the frozen ice to the neighboring town. The same ice had, just a few hours earlier, killed his father when he fell through and froze to death in the Alaskan cold. While waiting for help to arrive, Sig gets a visitor of a different sort; a giant, gun-wielding man named Wolff, claiming that he has some unfinished business with Sig’s father. Sig hopes that help will arrive before the man makes good on his promise to harm Sig and his family. But when help does arrive, it’s Sig’s sister Anna, and she’s alone. How will these two survive? First off, excellent narration on the audiobook by Peter Berkrot. He gives the book a Clint Eastwood, old-western “You feeling lucky, punk?” quality and his nitty-gritty tone and inflection sets the whole mood. I’ll admit that it a little slowly paced in the beginning, but that’s okay. Nothing is moving fast in this story, and it’s the palatable tension that readers will revel in. “Wolff dropped the words onto the floor like little spiders, which scuttled over to Sig and crawled up his legs, his back, his neck. He stopped grinding the coffee briefly but then determined that he would not let the man rile him.” (80) Now that is masterfully crafted writing, if I ever heard/saw it. You know exactly how Sig is feeling with Wolff being in the house. And there are other scenes that convey the same familiarity with the characters and their emotions. The details are also there, and in an author’s note at the end Sedgwick explains how he did his research, traveling to the “sub-zero temperatures in Northern Sweden that I got a sense of the cold and the landscape and walked on frozen lakes.” (203) He also discussed revolvers with “Peter Smithurst of the Royal Armouries, the UK’s leading expert on Colts. He carefully explained his history and workings of the Colt, took a 44-40 to pieces for me to show how it works, and did it all with great enthusiasm. (203-204). I’m sure that interaction with an expert is where we get the description of how the gun works in chapter 18, which although I don’t have any experience with guns, I still found fascinating. A riveting read about choices. “I have to sit somewhere,” The girl said to Tina in a firm, calm voice. “Not my problem,” Tina snapped. The bus lurched, and the girl rocked back to keep from falling. Park tried to turn the volume up on his Walkman, but it was already all the way up. He looked back at the girl; it looked like she was starting to cry. The girl sat down. She didn’t say anything–thank God, she didn’t thank him–and she left six inches of space on the seat between them. This is how Eleanor and Park meet. Eleanor, described by Park as “big and awkward. With crazy hair, bright red on top of curly. And she was dressed like. . . like she wanted people to look at her.” (8) Eleanor, when comparing Park to the other, meaner classmates on the bus, “couldn’t tell if the Asian kid who finally let her sit down was one of them, or whether he was just really stupid. (But not stupid-stupid- he was in two of Eleanor’s honors classes. )” (11) But then Park notices Eleanor is reading his comics over his shoulder, so he lends her some more. And he realizes that they like some of the same bands and music, so he lends her some cassette tapes. And then batteries. It’s when Park invites Eleanor home with him that they both realize two things: they are becoming more than just two teens who share the same bus seat, and their lives couldn’t be more different. It is those differences that ultimately put their relationship to the test, and Eleanor asks Park to give her something he truly doesn’t want to give up on. What is it about books lately that are making me see the world so differently? Obviously books are supposed to make you view the world through a window or a light that isn’t your own. But I have never heard Eleanor’s analysis of Romeo and Juliet before, and I loved how contrary she was to the teacher. It’s also a little eye-opening and a little unnerving to have a historical fiction title that takes place during a time (1986) I was alive! Finally, after reading about the censorship scandal last September, I guess I should give fair warning that there are a multitude of swear words and some sexual content, although they don’t make it to home plate. 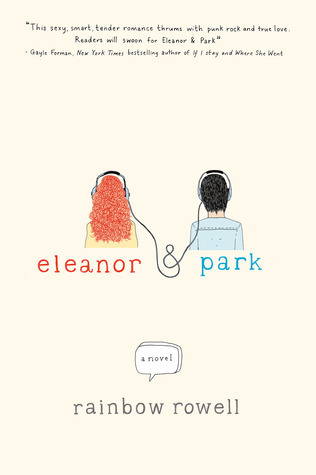 The relationship between Park and Eleanor I initially thought of as cliché, with two people who originally hate each other slowly falling in love. Really though, they didn’t hate each other in the beginning, they just had to get to know each other better and overcome this huge space between them. The bus seat and their body language while riding to and from school becomes symbolic of their feelings, as they start out avoiding each other, but then slowly migrate closer and closer, first ducking down so no one can see and then not caring what anyone on the bus thinks of them. Park starts off being this stereotypical Asian boy, smart, small, and silent, but then there’s that scene between him and Steve (if you have read the book, you KNOW which one I’m talking about), and it just smashes your entire opinion of Park. It also smashes your entire impression of Eleanor, as her response is just… wow. You realize how mature she is and it’s sad that her abusive home life is what caused that maturity. Your heart hurts for Park that he gives so much and asks so little, but Eleanor isn’t really in a position to offer any more than she does, and she is forced to keep her guard up around everyone. Speaking of families, Park’s is the polar opposite of Eleanor’s family. While yes we have the stereotypical absent and/or abusive parents in Eleanor’s case, we also have Park’s involved, loving, and caring parents. Park’s parents can empathize with the spot he finds himself, and while they are not perfect, they play off each other beautifully. They are willing to change when circumstances change, and they are overall some cool parents to have who support and mentor Park with his tough decisions. Another opinion altering moment comes at the end. That is NOT how I expected this book to end. Not in a million years. But it works, and it makes sense. The book’s ending is so gut-wrenching yet hopeful, all at once, that you may just find yourself smiling even as a tear or two runs down your cheek. Whether you listen to the excellent audio or curl up next to the fire for a cover-to-cover binge reading, be prepared to have your heart stretched. The Story Siren calls it Books to Pine for. There’s a whole bunch of other people who call it Waiting on Wednesday and post their links at Breaking the Spine. In any case, these are the books I would love to read, and am looking forward to have in hand. 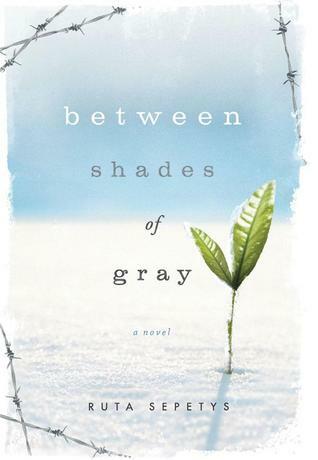 I absolutely was amazed after reading Between Shades of Gray by Ruta Sepetys and quickly realized that she has another one coming out next year. Yes, next year, but I’m sure it will be well worth the wait. Publisher/Date: Amulet Books, an imprint of Abrams, c2010. “We can never go back to Japan, you know,” Goemon said, staring across the sea. They brooded on this in silence. 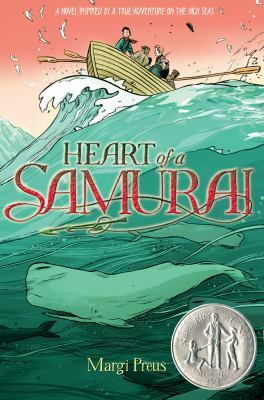 Fourteen-year-old Manjiro is on his first fishing trip with four others when a storm damages their boat and blows them off course, stranding them on an uninhabited island. They have no way of getting home, and even if they did, Japan has closed their borders to everyone, including Japanese who have left the country, for fear their citizens will be influenced by the outsiders’ way of thinking. When an American whaling ship passes by, they have no other option than to climb aboard. But will Manjiro ever be able to return to his home, his family, and his impossible dream of becoming a samurai? I received an Advanced Copy of this book at ALA last year, and never got around to reading it. After reading the published version, I’m kicking myself just a little bit. The cover bills it as “a novel inspired by a true adventure on the high seas,” and Preus does a spot-on job at backing up that claim. There are drawings done by Manjiro scattered throughout the text and his real words also supplement the story. At the end of the book is extensive back matter (close to 25 pages) that includes an epilogue, a historical note, glossaries of Japanese words, terms, and places, whaling terms, sailor lingo, and other miscellaneous terms, and a list of suggested reading on assorted topics for both adults and younger readers. While the story is spread over the course of ten years, Preus leap-frogs from one event to another, keeping the action and adventure moving. She also approaches the racism that Manjiro experienced with care, compassion, and understanding, as Manjiro is quite possibly the first Japanese to reach American soil and the other residents don’t know what to make of him. He’s certainly not black or white and, in an age where the two groups were separated, his uniqueness is emphasized by the fact that Manjiro’s caretakers had to change churches twice in order to find one that would accept him. Manjiro’s inquisitive nature is also emphasized in his constant questions that he asks everyone. From his fellow sailors to his rescuers and the people he encounters in America, Manjiro seems especially suited to bridge the gap between Japan and America. His open personality makes it difficult for anyone to escape his charm. 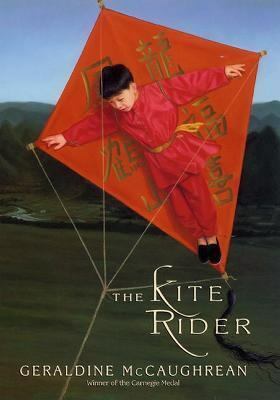 I was instantly drawn into the story, and other readers will do likewise once they discover this Newbery Honor book. This is a book that I talked about with all 5th and 6th grade students when discussing Summer Reading Club, and several seemed interested. Publisher/Date: Delacorte Press, an imprint of Random House Children’s Books, c2010. “I’m checking your mother into a hospital,” he says. Andi Alpers has been going crazy trying to deal with the death of her brother, her absentee father, and her emotionally distant mother, not to mention her quickly declining dismal performance at her private prep school. 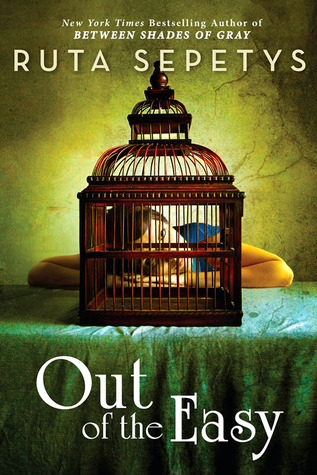 When Andi’s father receives word that she might end up getting expelled, he swoops in, ships her mother off to a mental institute, and basically forces Andi on a plane to go with him to Paris. Andi is able to negotiate with her father a compromise; finish an outline and introduction to her thesis, and she can go home early. Andi’s resolve to leave gets tested when she not only meets a guitarist who shares her passion, but also discovers a centuries old diary of Alexandrine Paradis, a girl her age who worked in the palace during the French Revolution. These two girls might have more in common then Andi realizes when their lives intersect in a startling manner. Full disclosure: There is a small element of time travel, which I don’t feel too bad revealing and I hope no one else counts it against me, but this is how it was explained to me. The time travel element is by no means the core of the novel, but I thought the minor details that were scattered throughout the novel came together cleanly by the end. Those minor details are scattered about the gorgeous cover, including the key on the spin, which plays an important role in the book. That’s a great touch that I’m sure has caught the attention of more than one reader. I wouldn’t classify the story as science fiction even with the time travel element, but then again I wouldn’t classify it as historical fiction either, even though some might consider it due to the diary. This is a solid modern-day tale that has a timeless quality because of its connections to the past. The characterization is extremely well-developed. Readers are drawn into both Andi and Alex’s personality, understanding their motivations and convictions. Andi’s passion for music is evident from the beginning, and the fact that her thesis involves proving how a late seventeenth century composer influenced modern-day music is not something that I would have picked. But the musical history, influences, and pieces are explained in a manner that makes sense. The parallels that could be drawn between Alex and Andi are multi-faceted, and the romances that develop for both characters are refreshingly subtle. I think it’s fairly obvious to readers that Alex has more than a passing fascination with the prince, just as Andi has more than a passing fascination towards Virgil, a boy she meets in Paris. Virgil is perfect for Andi at this time, because he’s willing to take things at her pace, but he also recognizes her pain and is not so willing to let her self-destructive tendencies take over. He is the one good thing in her life that serves as her anchor. Their love of music draws them together, just as the revolution draws Alex to the prince, and both relationships taken together shows love in its many forms. I have to comment that I’m thrilled that Alex’s diary entries read like a diary, without an excessive amount of direct quotes. The present tense and jumping around the timeline makes it a little difficult to follow at times, but we don’t relate stories linearly in real life, so I’m willing to assume it was an attempt in authenticity. Readers view not only Alex’s “present”, but she also flashbacks to previous events, all while being presented as old diary entries. Plus, the presentation allows us to get Andi’s reactions to what she’s reading instantaneously, instead of waiting for the next chapter. The details pull readers in and really set the scene for the action. It’s quite obvious that Donnelly has done her research here, describing everything from the sights and sounds of Paris to the smells of the catacombs. The fact that the centerpiece of Andi’s father’s research actually exists is fascinating. 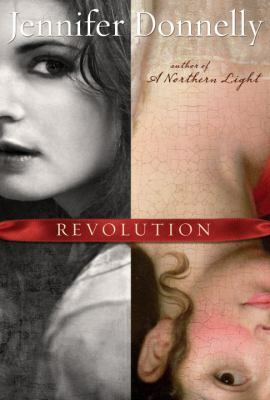 I’m not a history person, and I found myself understanding the complications and causes of the French Revolution. I felt like I was actually there, following in both Alex’s and Andi’s footsteps. Although the size of the book presents a daunting facade (weighing in at over 400 pages) readers who stick with it will be well rewarded.